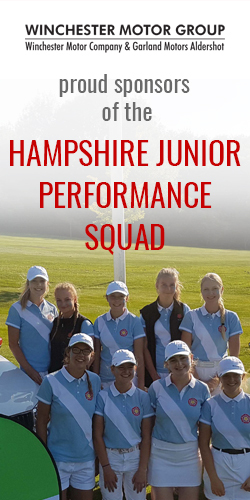 As our County Secretary and Competition organiser made her way to the lovely part of Hampshire where Barton-on-Sea Golf Club nestles on the south coast, she couldn’t see much through the mist swirling around, but then she did arrive at 6.45am only to be let in by the cleaner! 80 ladies decided to leave a little later and all arrived in time for their scheduled start times on the Stroller and Needles courses. Sadly, the mist turned into fog and starts were delayed until play was safe. Very even numbers in all 3 divisions with 27 Bronze ladies in the stableford playing the Needles course first and good scores were carded in the murky conditions with a cut for our winner Launa Kirk from Sandford Springs with 36 pts as CSS rose to 73. Another 27 ladies with handicaps from 17 to 20 and a further 26 with handicaps 16 and below started on the Stroller course and after an initial delay to proceedings, there followed a slight suspension in play when the fog rolled in again. Visibility was difficult for all throughout the day and big thanks go to Di Stock (County and Area Referee) and Jackie Keay (County President) for assessing the conditions and keeping everyone informed out on the course and Debbie Tapply (County Vice Captain) and the Barton ladies for marshalling and ball spotting (when they could see!). Needless to say, the sun burnt through and by the time people were finishing their splendid meal, it turned into a glorious, sunny day. One of the other challenging aspects of the day was the ability to answer correctly the question posed on registration “are you between the age of 60 and 69?” One who did answer correctly was Susan Mundy from Rowlands Castle who won the “Super Seventy” category with 33pts. 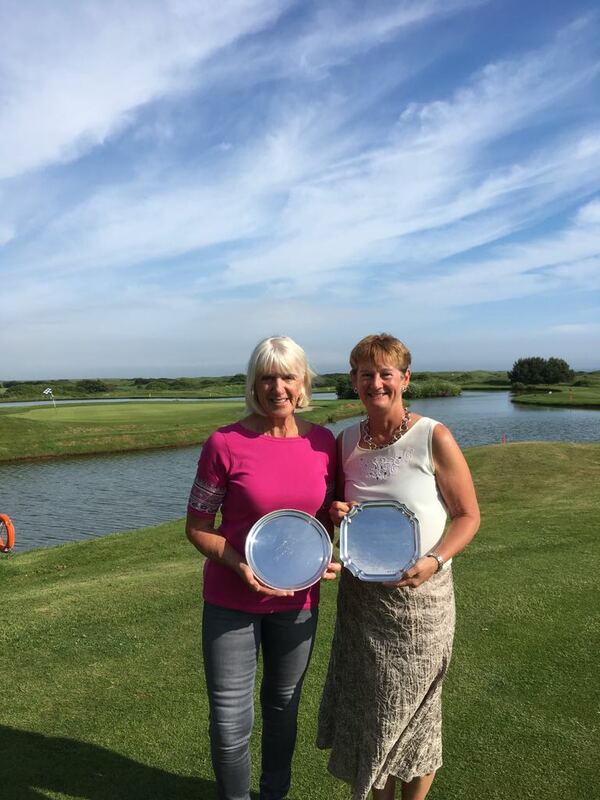 Congratulations to Ailsa Fraser from Army and Angela Barnett at Brokenhurst Manor for best gross scores in their divisions followed by Jill England (Meon Valley) and Sue Collinson doing the 1,2 for Brok. 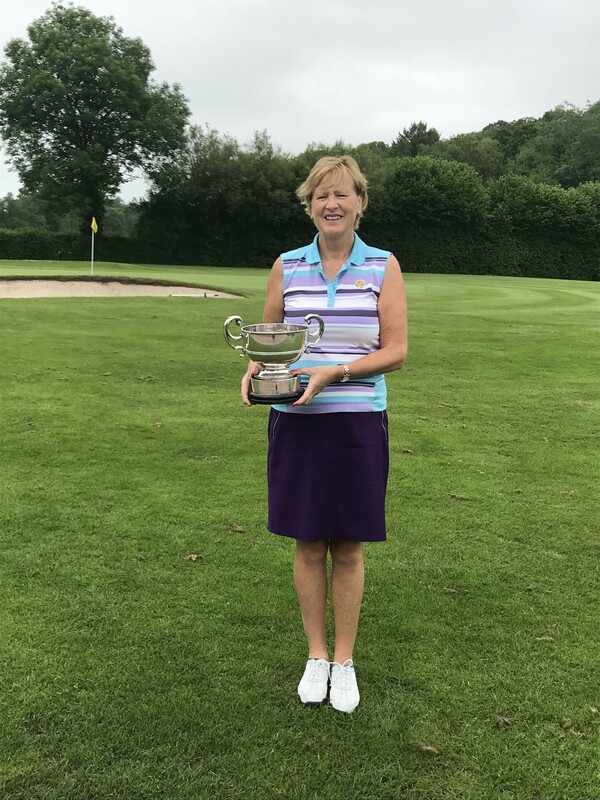 The CSS also rose to 73 again resulting in cuts for those at the top and Silver Division 2 winner was Sue Hitchen from Royal Winchester with nett 72 despite her eventful 8th hole! 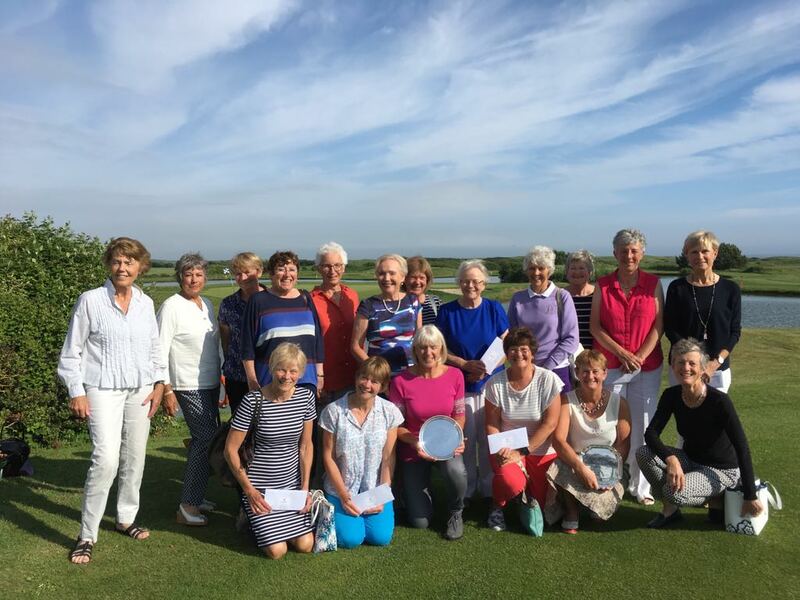 In her first year as County Veterans’ Captain, Linda Eales from Corhampton presented the trophies and prizes along with County Captain Kay Walshe and this year’s Champion from Bramshaw with a score of 71 is Jacqueline Griffin. Barton’s captain Sandy Jones did sterling work with her ladies raising £202 for Bournemoth’s Eye Unit so thanks to you all for your generosity and your patience on the day. Barton’s hospitality was exceptional and our thanks go to General Manager Sean Trussell and all his staff; he has agreed to have us back next month for the Junior Girls’ Championship on July 22nd so hope the fog stays away then. Last to leave was – you’ve guessed it!